The former U.S. representative hasn't yet kept his promise to repay the $84,000 in taxpayer funds he used to settle a sexual harassment claim in 2014. AUSTIN, Texas — Former Republican U.S. Rep. Blake Farenthold has accepted a lucrative position lobbying for a Texas port, mere weeks after resigning amid fallout from a sexual harassment scandal. The Calhoun Port Authority announced Monday that Farenthold would promote its interests in Washington. Port Director Charles Hausmann said Farenthold's annual salary will be $160,000. 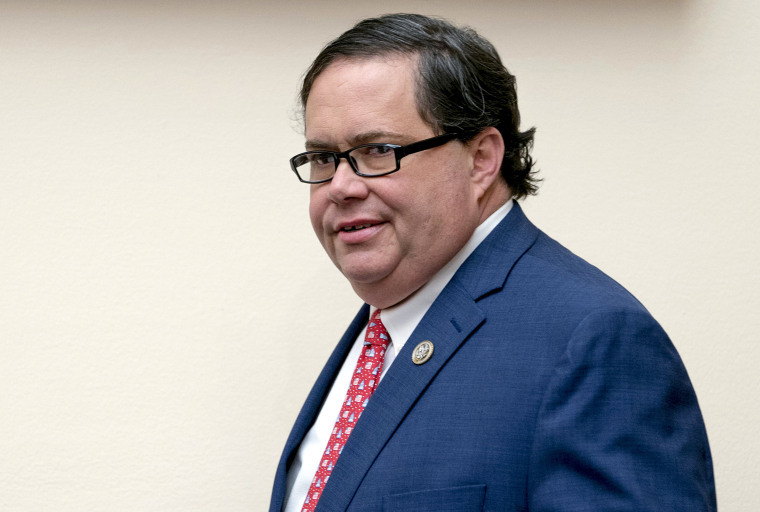 Farenthold didn't return phone messages, but told KKTX radio that he'd taken a job about a 90-minute drive from his Corpus Christi home. He quit in April, as the House Ethics Committee investigated his using $84,000 in taxpayer funds to settle an ex-staffer's 2014 sexual harassment claim. Farenthold pledged to reimburse that, but hasn't. Gov. Greg Abbott called a special election to replace Farenthold and asked him to put the $84,000 toward it. Farenthold scoffed at that suggestion.